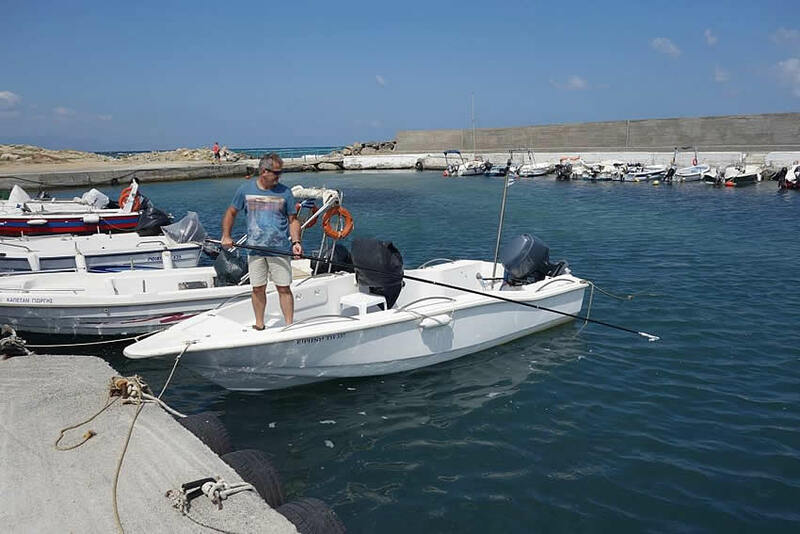 The cutter was presented to fishermen for testing in Chania, Crete last March. ARCHELON’s Athanasia Nikolopoulou went to Crete, met with the fishermen and took pictures. We are happy for this collaboration and expect their feedback in a reasonable period of time. Photographs below are from the visit to Chania. 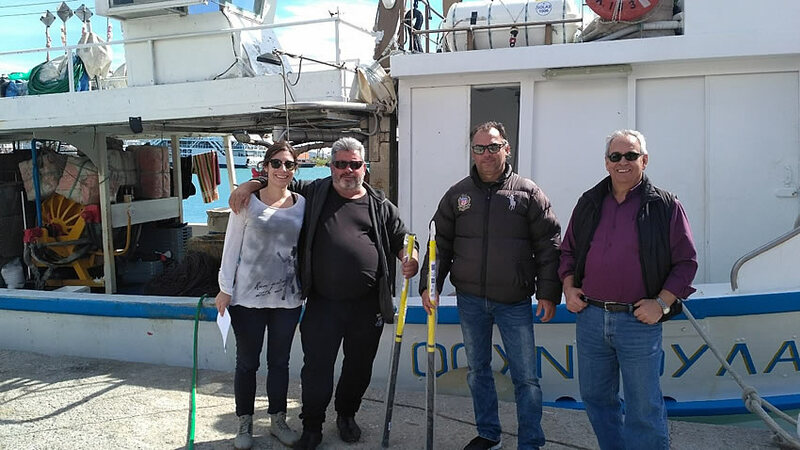 A few days ago ARCHELON’s Anna Lamaj visited for the same reason, the National Marine Park of Alonnisos with HCMR, the first Marine Park founded in Greece in 1992. An informative meeting with locals and fishermen of the area took place to discuss with them the importance of sea turtles and the dangers they face. Many locals were eager to receive the necessary training in the use of the cutter, the tools and other equipment which were delivered. In both visits the e-turtle smart phone application was also presented. E-turtle is an easy to use app that allows you record and report how and when you see a turtle in the sea. Though the Life Euroturtles project, this app is already used in six Mediterranean countries, which are collaborating in the data collection platform. We hope more people in North Sporades will join them and help collect lots of valuable information on sea turtles in the Mediterranean. The photo above is from our meeting in Alonissos. 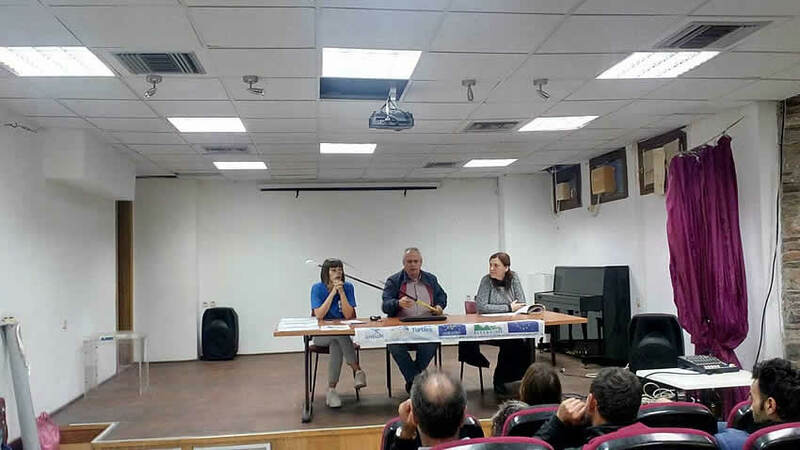 We would like to thank Mr. Argyris Kapantagakis from HCMR, Mrs. Niki Matzafleri from the Department of Fisheries of Magnesia and Sporades and ARCHELONs Anna Lamaj. We are thankful to the Municipality, the Alonnisos National Marine Park Management Authority and the Coast Guard for their cooperation. 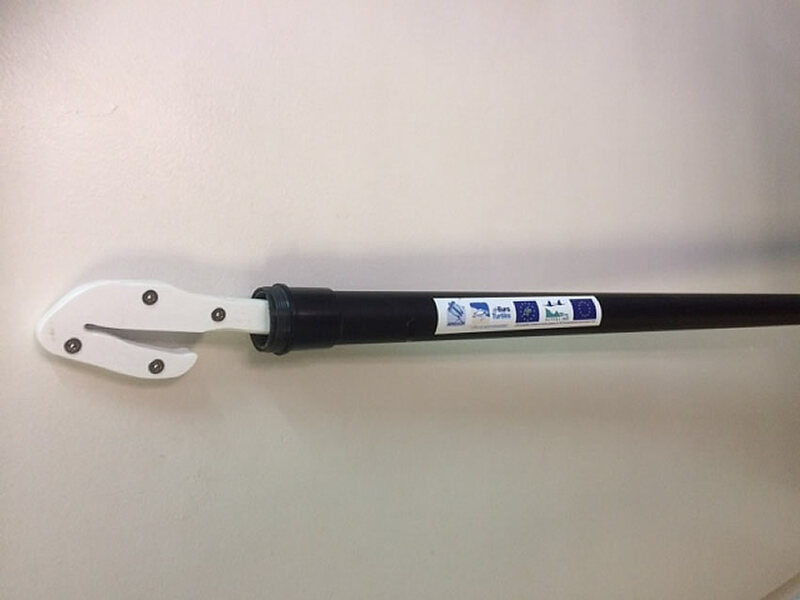 For more information about the telescopic cutter, please contact: Elli Tarabe, ARCHELON Communication Officer, 210 5231342.